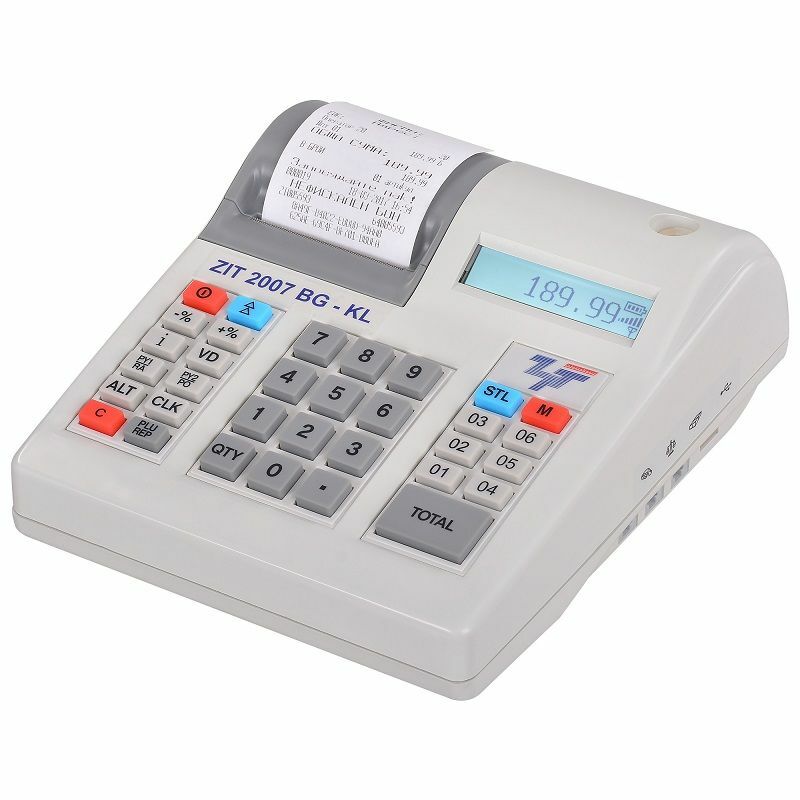 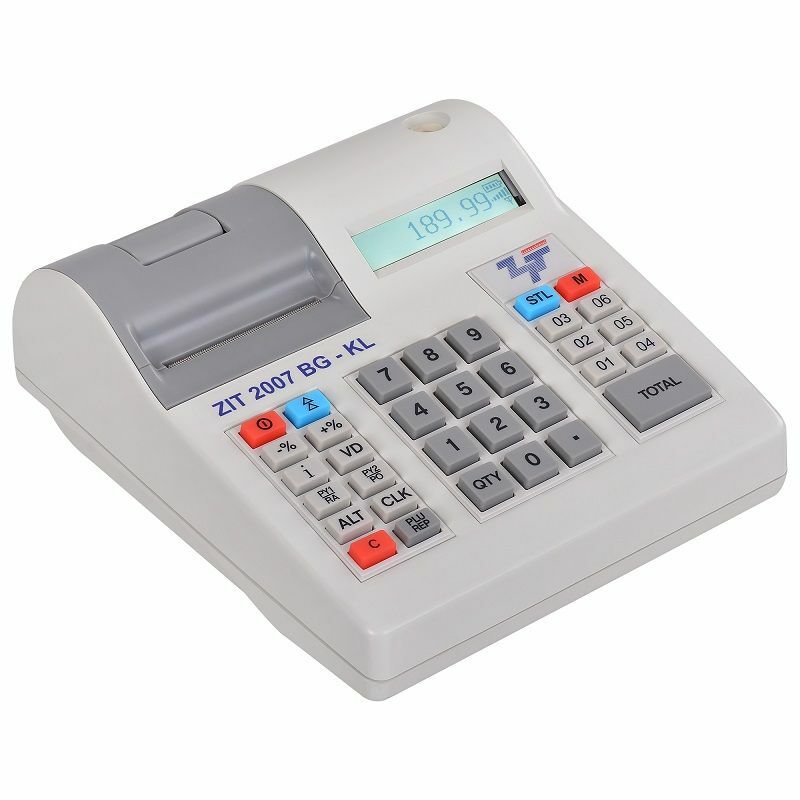 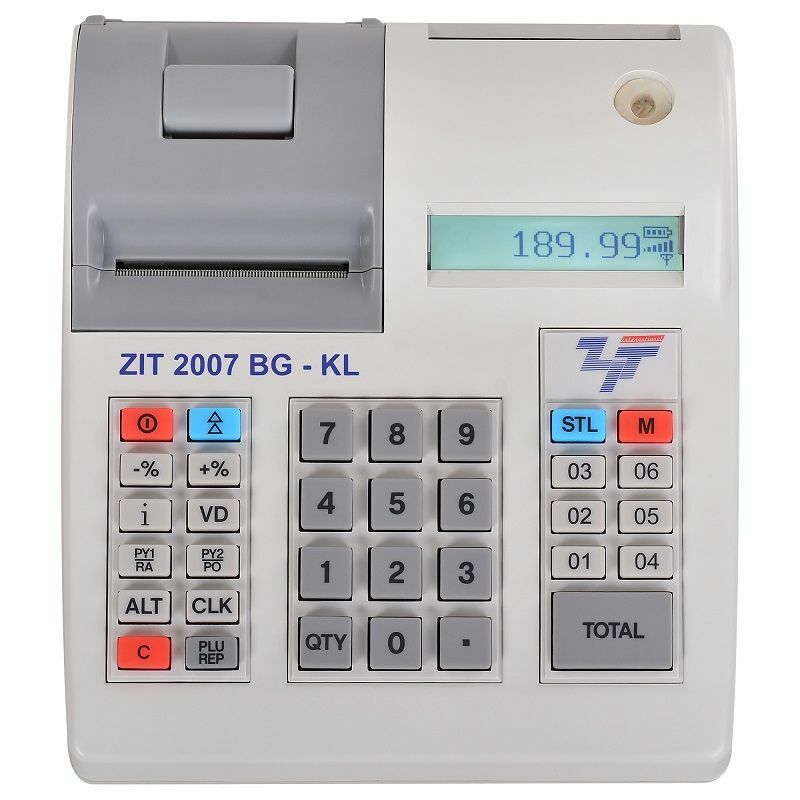 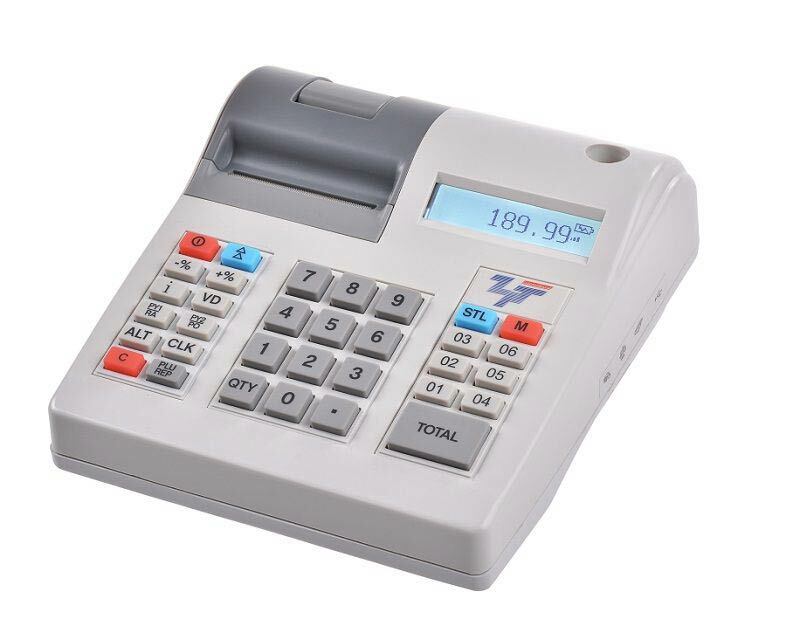 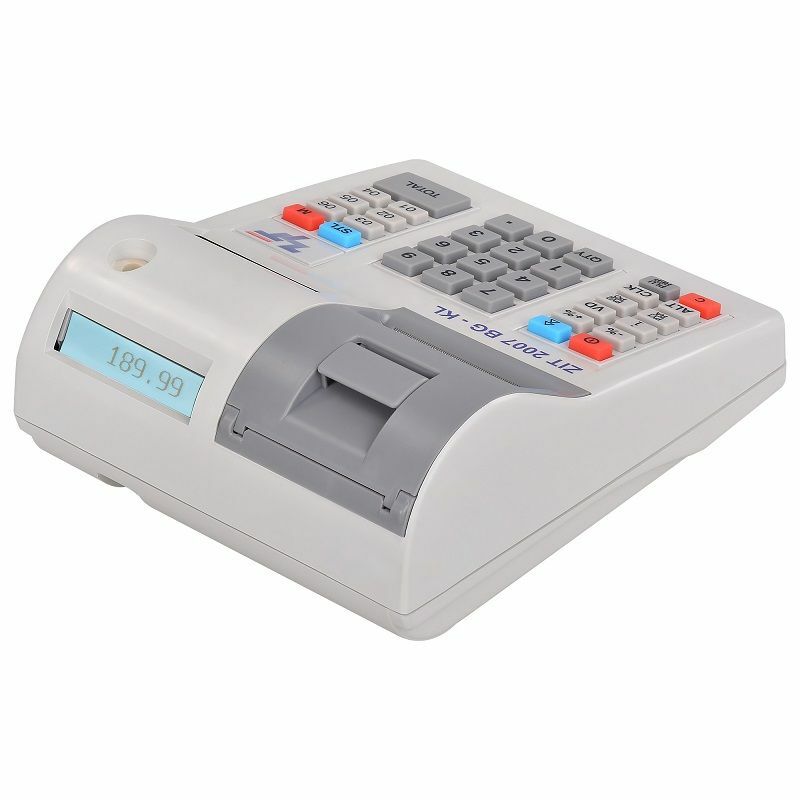 Stationary cash register ZIT 2007 GPRS | Zit International Ltd.
Stationary cash register with fiscal memory, electronic journal, comfort keyboard, built-in operator and customer displays. 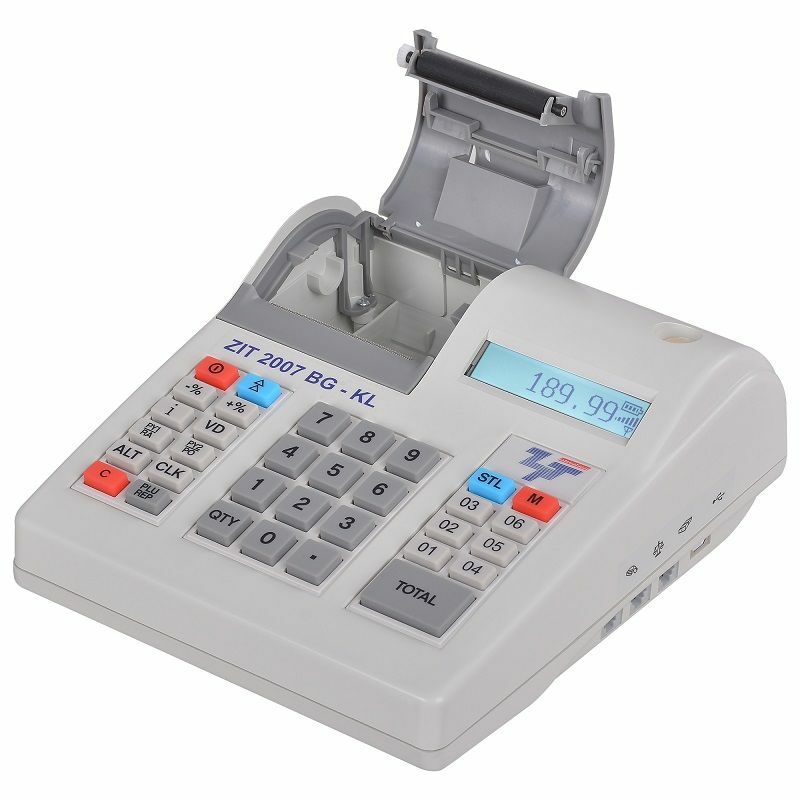 The device has an Easy Load mechanism that helps to quickly and easily load paper rolls. 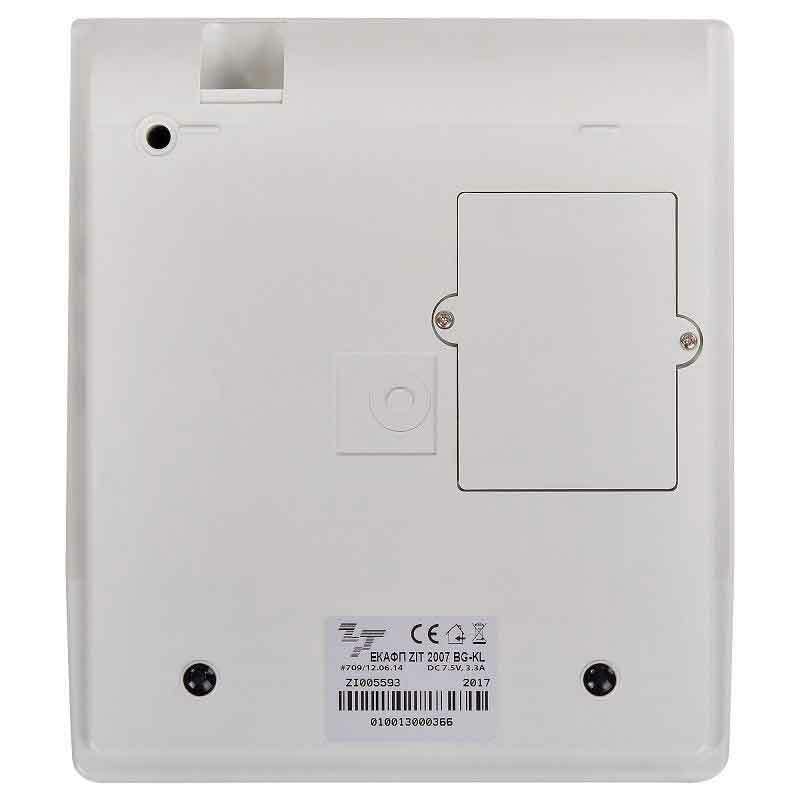 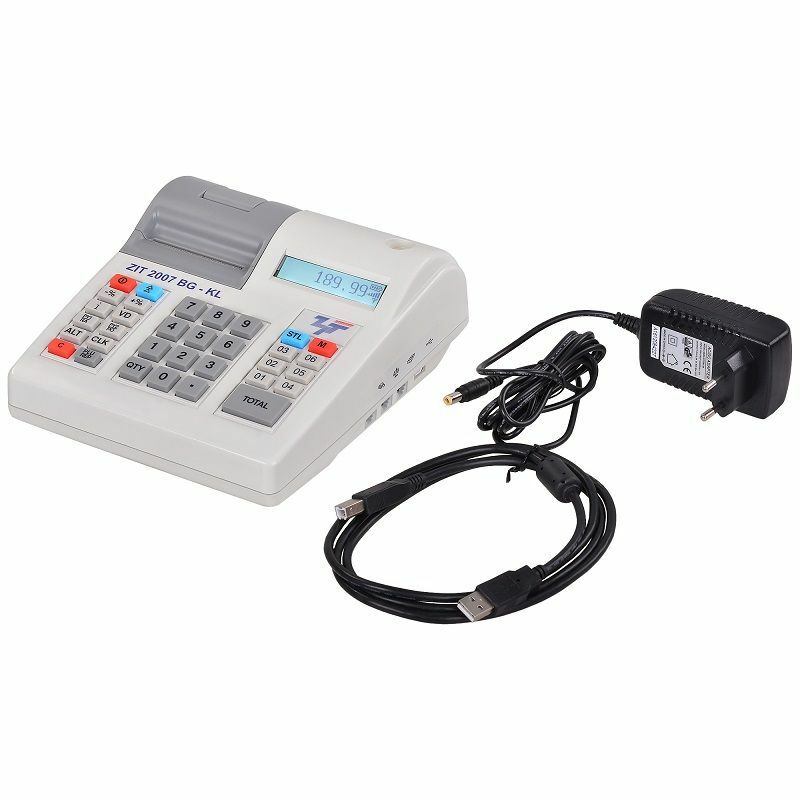 It can be connected to a computer, an electronic scale, a barcode scanner and a cash drawer. 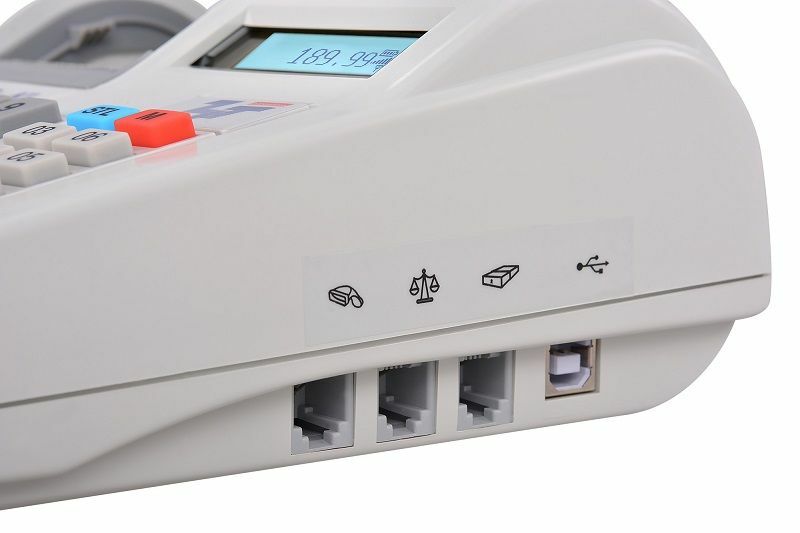 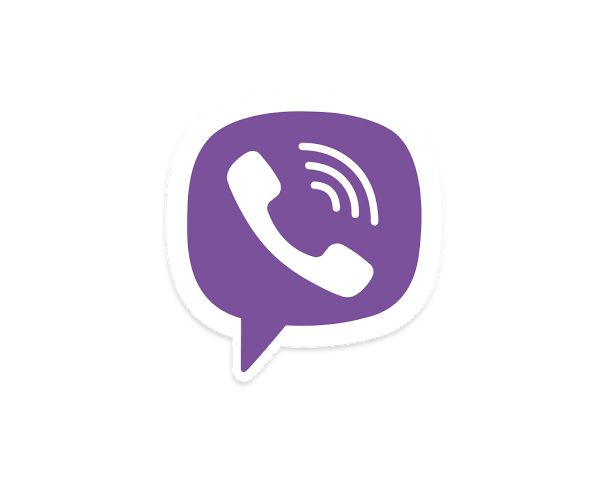 Optionally, it can also be operated by its battery. 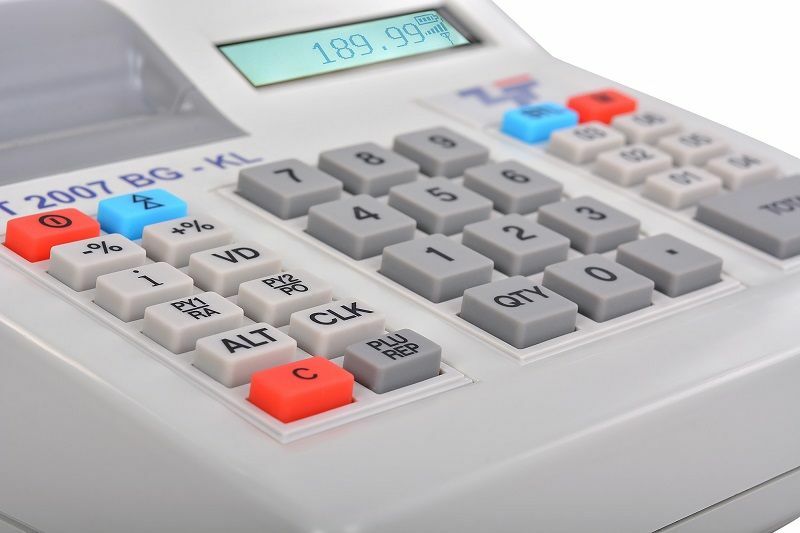 Its compact size and the ability to run both from mains power and rechargable battery makes it perfectly suited for work in medium to high-load objects.